There’s two great loves in my life, pizza and books. 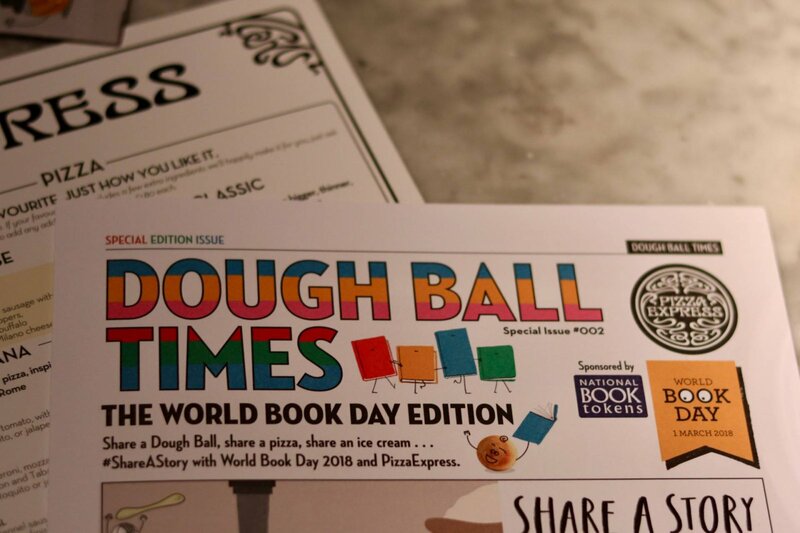 Today they are colliding as I’m here to tell you all about the new #ShareAStory partnership between Pizza Express and World Book Day. 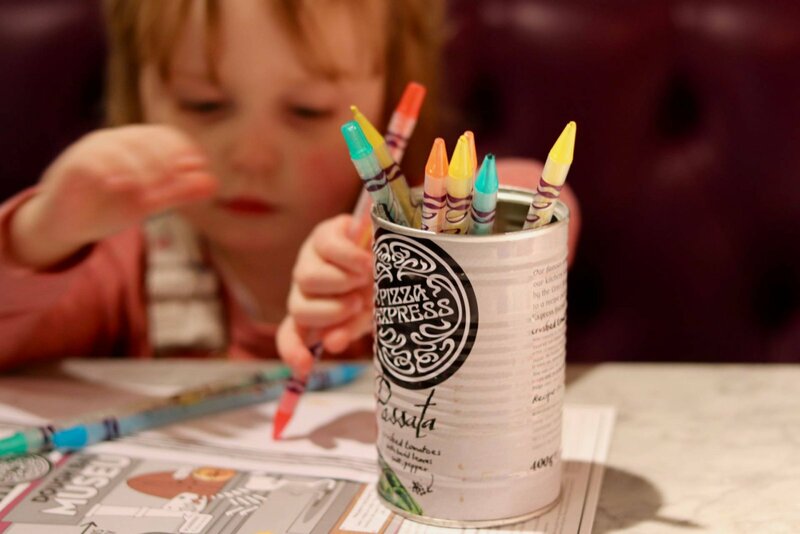 Pizza Express and World Book Day want to encourage our children to show their own artistic flair by designing their own bookmarks and taking part in some fun creative challenges whilst they enjoy their food. 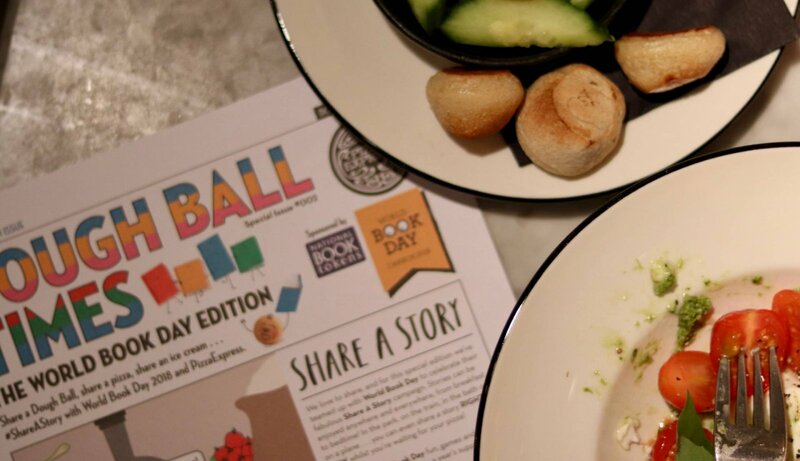 When you dine in between the 9th February – 25th March 2018 your kids will be entertained by a special edition of ‘The Doughball Times’ which is packed full of games, facts and activities around the theme of sharing stories. Until March 25th every copy of the kids activity pack contains a £1 book voucher and an exciting colouring competition. Your kids can design and decorate a bookmark for the chance to win a year’s supply of books worth £250, courtesy of National Book Tokens. 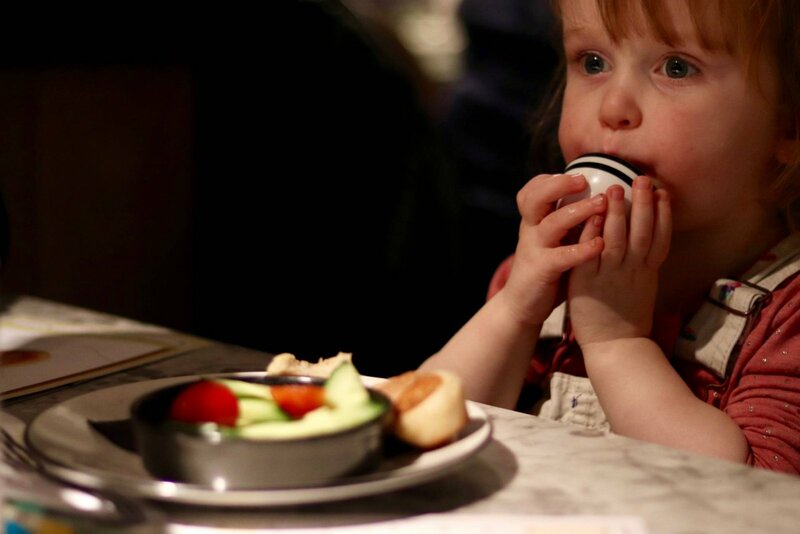 We’ve taken Luisa to Pizza Express a few times as I always feel very comfortable there. Thanks to the activity packs and cute chef hats I know she’ll be entertained while she waits. Whilst she’s scribbling away on her latest masterpiece and munching on doughballs Matt and I have the perfect opportunity to relax, chat and be ourselves. 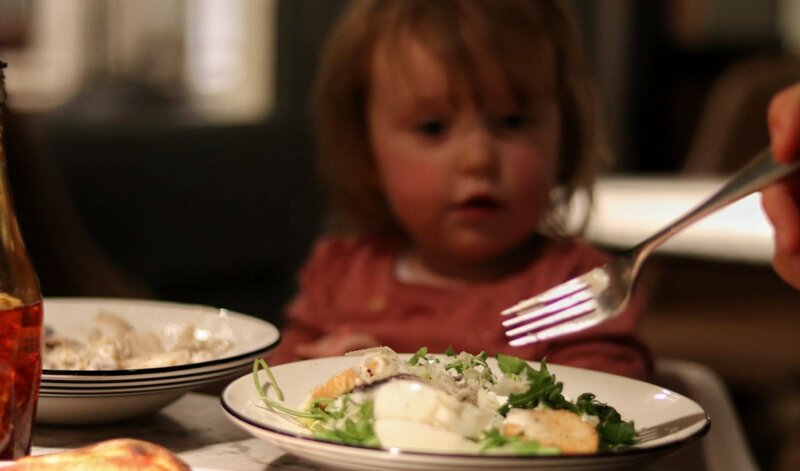 I think it’s quite rare to find a restaurant that’s truly family friendly but is also ‘nice’ – as in somewhere you would choose to go without children too! We’re also very lucky in that there are three Pizza Express restaurants within 20 minutes or so of my house and I love that they are all styled slightly differently. It really gives the feeling of being in a standalone eatery and not a busy chain. When we visited last week we found that the service put us at such ease and had a really personal touch. As Luisa is quite young often when we go out she simply shares food with Matt & I, we find that children’s menus often only work for older kids and are quite pricy for a toddler who may well reject it all! Pizza Express is one of a handful of places where we always order her a proper meal. The Piccolo menu is such good value providing three courses for £6.95. Another thing I love about the Piccolo menu is the variety, there are so many dishes to choose from including vegetarian, dairy-free and gluten free options. I know a lot of families have children with allergies and so I think it’s great to see a very inclusive menu. As I said Luisa always enjoys the activity packs in Pizza Express but this World Book Day version has loads of extra activities – including snakes and ladders which the grownups may have gotten a little competitive over… I also really liked the book suggestions they offered for different age groups, there were a few titles we hadn’t heard of which have made their way into my Amazon basket. As you can imagine the bookmark Luisa designed was rather abstract! She tells me it’s a baby with his best friend dog, who has two whiskers. I’m not sure it’ll win any prizes but she had a good time and we had peace and quiet. Our evening in Pizza Express was fantastic, we all really enjoyed sharing good food and stories. 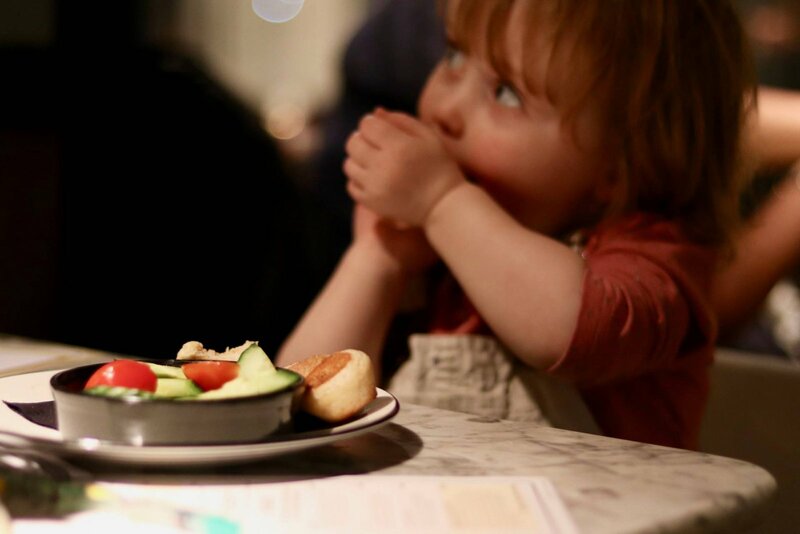 If you’re looking for somewhere fun and genuinely lovely to eat with your children Pizza Express is the one. 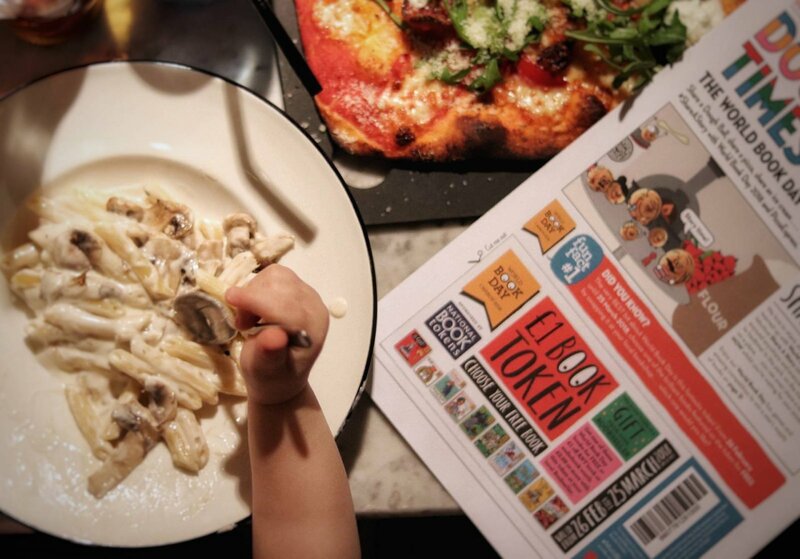 If you’d like your children to enter the Pizza Express World Book Day Bookmark Competition, you can either visit your local Pizza Express before 25 March or you can download a template and enter via the Pizza Express website. If you do decide to visit a restaurant there will some extra fun in your local branch on World Book Day (1st March) as the staff will be in fancy dress and the diners will be able to vote for ‘best-dressed’ team member. Are you looking forward to World Book Day? I’d love to know if your children are dressing up so do leave me a comment or tweet me if you head off for a tasty pizza.